Last week we were left wondering how Michael Avenatti, Stormy Daniels attorney, got his hands on Michael Cohen’s financial information, which appeared to come from a Suspicious Activity Report (SAR). Avenatti’s memo was quickly confirmed by news media outlets. We still don’t know how Avenatti got his hands on the SAR report, but we now know how the media was able to confirm the financial information in his memo so quickly: a government whistleblower provided the news media with a copy of the SAR report. For months, good-government groups and some Democratic lawmakers have been calling on Treasury Secretary Steve Mnuchin to recuse himself from matters related to the federal investigation into Russian election meddling. 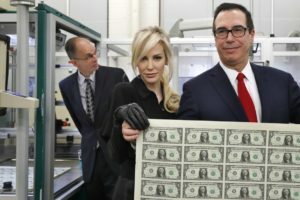 Mnuchin’s role as finance chair of Donald Trump’s 2016 campaign means he can’t impartially oversee a probe that delves into Trump associates’ financial affairs, they have argued. 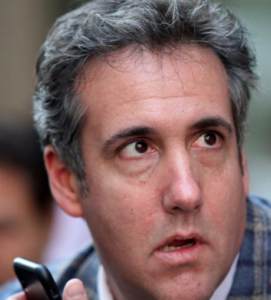 Those calls took on a new urgency this week when The New Yorker revealed that Suspicious Activity Reports (SARs) filed on long-time Trump fixer Michael Cohen were removed from a database kept by the Treasury Department’s Financial Crimes Enforcement Network (FinCEN) division. Their removal, which is highly unusual, so alarmed a longtime law enforcement official that he or she leaked some of the documents to the press out of concern that information was being intentionally withheld from law enforcement. In multiple letters sent since late 2017, Democratic lawmakers have asked Mnuchin to recuse himself from the Russia probe, and to detail any information Treasury has received about potential illegal activities by Trump and his associates. “Have you ever directed, or has any other Trump administration official, Trump campaign official, or Trump family member called on you to direct U.S. Treasury officials or staff members to obscure, destroy, or withhold information implicating the president, Trump campaign officials, Trump family members, or his associates?” the Democrats wrote in January. 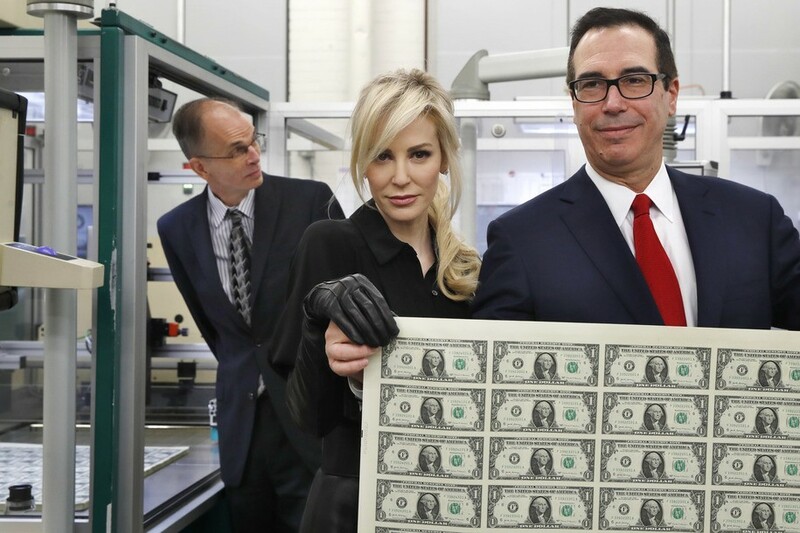 They received no response from Mnuchin. In December, progressive groups noted in their own letter to Treasury’s Inspector General that Mnuchin had replaced the director of FinCEN with his own choice, just days after former Trump campaign chair Paul Manafort was indicted for money laundering and a host of other financial crimes. The groups called the timing “extremely worrisome,” and asked the IG’s office to look into whether Mnuchin should recuse, a request the IG declined. On Thursday, Citizens for Responsibility and Ethics in Washington filed a complaint with the Treasury Department Inspector General asking for an investigation into the “possible compromise” of information in the database. Sources familiar with FinCEN’s database told the New Yorker they could have been removed by a request from the special counsel’s team or from federal prosecutors who are investigating Cohen for financial crimes. The Treasury Department did not immediately respond to TPM’s request for comment. In a Thursday afternoon statement, a FinCEN spokesperson said that they do sometimes limit access to SARs in ongoing investigations. So is there an innocent, although highly unusual, explanation that the SARs reports were restricted by the special counsel or the U.S. Attorney for the Southern District of New York (which seems readily easy to confirm). Or did someone pull the SARs reports from the finCEN data base in a cover up? And if so, why did they fail to pull the third SAR report that was revealed, which referenced the two earlier SARs reports? That doesn’t make sense. President Trump’s financial disclosure, released on Wednesday, included for the first time repayment of more than $100,000 to his personal lawyer, Michael D. Cohen, in 2017, raising questions about whether Mr. Trump’s sworn filing from a year ago improperly omitted the debt. The letter is not an official referral and does not constitute a finding of wrongdoing, according to lawyers. Noah Bookbinder, the executive director of Citizens for Responsibility and Ethics in Washington, said in a statement that the inclusion of the payment on this year’s form “raises serious questions as to why it was not disclosed in last year’s filing.” The group, known as CREW, had filed a complaint with the Justice Department and the ethics office asking for an investigation into whether the payment constituted a loan. Under federal law, an official who “knowingly and willfully falsifies information” on a financial disclosure could face criminal charges. Marilyn L. Glynn, who served as the general counsel at the Office of Government Ethics from 1997 to 2008, said that the letter to the Justice Department was significant and unusual and that if Mr. Trump intentionally filed an inaccurate disclosure last year, he may have violated the law. David Apol, the acting director of the Office of Government Ethics (OGE), is disputing Trump’s assertion that he wasn’t required to report the debt — and has sent along the matter for Deputy Attorney General Rod Rosenstein to look into. It is unclear what the Justice Department will do with this information. But it adds to the lengthening list of legal problems Trump may face related to the Daniels payment and the investigation into Cohen. The president, like other federal employees, is required to fill out a financial disclosure form each year. Yet Trump’s first such form — submitted in June 2017, and covering 2016 and early 2017 — makes no mention of a debt to Cohen. So the White House remained cagey on what exactly happened here until, in the wake of the FBI raids on Cohen’s offices, they put out at least part of their version of events. At some point in 2017, they said, Trump repaid Cohen for the money. He did so through, they claim, monthly payments to keep Cohen on retainer.Trump decided to try to have it both ways. In the form, his team does not disclose the Cohen debt alongside Trump’s other liabilities. Instead, they mention it at the bottom of the relevant page in a note saying it was fully paid back in 2017. They claim that they don’t believe Trump was legally required to disclose this, but that “in the interest of transparency,” they’ve decided to do so anyway. But the OGE didn’t buy their argument. Acting Director Apol added his own note stating that the Cohen payment information “is required to be reported” and should have been listed by Trump as a reportable liability. Apol sent both of Trump’s disclosure reports to Rosenstein, saying that he might find them “relevant to any inquiry” he “may be pursuing” about Trump’s earlier, apparently incomplete, disclosure form that didn’t mention the Cohen payment. So there was already an open investigation into Trump’s financial disclosure statement? Who knew? UPDATE: The Treasury Department’s inspector general is expanding a probe into leaks of confidential reports about suspicious banking activity by Michael Cohen, President Trump’s former personal attorney to include an uncorroborated allegation that some of those reports were mysteriously absent from a government database. Probe of leaked banking records related to Michael Cohen expands after New Yorker report. The Treasury Department’s Inspector General has launched a probe into the leak. It is still is unknown why the SAR report that leaked out was also not restricted. This just makes what is in the SARs reports that are restricted all the more of interest to the media.